As busy as pres__ent Obama makes us think he is, he is basically “fiddling around” while America falls apart around his overly robust ears. His main objective, with full support of the Democrat Party leadership, is to completely undo every advancement President Bush made in protecting America and bolstering our economy. While hundreds of thousands of Americans have lost their jobs and homeowners who over extended their credit or ability to pay their mortgages, pres__ent Obama boasts of his mutli-Billion Dollar stimulus package being responsible for the hiring of 25 whole Police Officers recently graduated from an existing Police Academy Class in Boston, Massachusetts. While his stimulus fiasco may have contributed somewhat to their initial hiring, it only funds them for one year. After that, what? How are those citizens to be kept from having their taxes increased? More importantly, how does our great grandchildren plan to repay this massive “borrow and spend” program? As if that pig in a poke wasn’t bad enough, he intends to bring our healthcare system, the envy of many nations, under his socialist umbrella and is advocating yet another multi-Billion Dollar Omnibus spending bill, with no idea of how to pay for it as he is also promising to cut the burgeoning deficit in half! Maybe that isn’t cigarette tobacco he sneaks outside to puff on occasionally. Pres__ent Obama could hardly wait to announce the closure of the detainment camp in Guantánamo, Cuba, with intentions of bringing those detainees who have not been repatriated to their countries, with way too many rejoining terrorist groups to wreck havoc upon those Muslims trying to gain freedom and our Troops. Once here, what? Pres__ent Obama wishes to have full access to challenge their detainment in our Liberal Courts, where an Army of Liberal Lawyers have lined up to represent them, in hopes of making millions more of our dollars for gaining them their freedom and sticking us, the citizens of America, with the tab for their legal fees and rest assured, payment of damages for those they get off. There is no doubt in my mind that any “damages” paid these animals will swiftly find their ways into the coffers of Al Qaeda and other terrorist groups who have vowed to destroy the “Great Satan,” America, then Israel. Disturbing is that pres__ent Obama couldn’t see his way fit to properly greet or entertain the Prime Minister of our strongest ally, Britain’s Gordon Brown. While Mr. Brown may not share the messiah sort of worship that pres__ent Obama does, he is still the elected leader of a nation and deserving of respect and proper protocol. In return, pres__ent Obama gave Mr. Brown 25 DVD’s of American Movies, which could be found on nearly any street corner and certainly not a deserving gift to a Head of State. So much for our long history of friendship and assistance from our British friends. The excuse given for this obvious slap? Pres__ent Obama is “tired” and “not getting enough rest” due to all he is trying to get accomplished. More properly read, it would be all the socialist programs he is cramming down America’s throat as fast as he can. More than likely, it is due to the late night partying and increased entertaining of celebrities and top supporters, on our tax dollars, that he has brought to the White House. Of course, Obama and other attention whore Democrats have no problem complaining about some who have received “bail-out” dollars having party’s or celebrations of their own, such as the recent announcement by failed presidential candidate, John ‘F’in Kerry (who served in Viet Nam) where he proclaims, “‘Animal House’ Party Days Are Over for U.S. Banks. Strange that neither failed presidential candidate, John ‘F’in Kerry (who served in Viet Nam) nor pres__ent Obama could utter a breath of discontent when 6 fellow Democrats enjoyed a weekend party in the Caribbean sponsored by Citigroup AFTER Congress had approved the $700 billion bailout of financial services firms in October. Further proving how the Obama administration is more like a rudderless ship, present Obama has now announced he desires to US Military, who have been fighting terrorist magnificently these past 7 years in Iraq and Afghanistan, to moderate elements of the Taliban for reconciliation. Moderate Taliban? Isn’t that like saying Intelligent Liberal? An Oxymoron? Unlike in Iraq, when President Bush and General Petraeus reached out to Sunni Tribal Leaders who had been suffering under the hands of Al Qaeda, the Taliban are amongst the most ruthless and ungodly group ever to oppress a nation. They are noted for searching houses to destroy any television sets, radios, cassettes, and photographs, roaming the streets beating those they deem to be violators of their extremist Shariah Law, dismantling all civil institutions, and closing all women Institutions of education, denying them even basic human rights, such as wearing lipstick or wearing nail polish. Public executions were commonplace under Taliban rule as were just killing any who opposed them. While their strength has regrown, as many of our NATO allies dropped the ball by only offering token assistance in Afghanistan, just where does pres__ent Obama think he will find “moderates” in a group noted for such gruesome oppression of a people? And he thinks those people will join us with fighting those they ally themselves with today? Clearly, pres__ent Obama hasn’t a clue about Foreign Policy and apparently, neither does anyone else within his administration. In less than two months in office, pres__ent Obama has already mortgaged our future where our great grandchildren will still be repaying the debt, dissed our closest ally, made dangerous decisions concerning terrorists being brought into the United States, raised several taxes on the poor and no wishes to embrace some of the most ruthless murderers ever to rule a nation. Even a staunch supporter like Whoopi Goldberg has expressed regret as she opens her eyes and realizes just how much of her hard earned money she will be losing. Not to worry, though. I’m sure pres__ent Obama will make up for it all by hosting another party in the White House, at taxpayers expense, of course. While the legend of Nero fiddling on his violin while Rome burned may not be truthful, pres__ent Obama partying on while America falls apart isn’t. Fantastic post Lew! While I do not EVER watch "The View", I wish I had seen that episode. I can't believe that Whoopi threw NObama under the bus. So funny! What did this stupid morons think? That frigging koolaid must be awful potent! What a slap in the face to our staunchest ally! Those slimeballs in the White House should all be drawn and quartered, every last one of them! That idiot CIC is in so GD far over his head that he will NEVER see the light. He did nail it once when he said "it's above my paygrade". Every part of that job is above his paygrade, and over his head. "...every advancement President Bush made in protecting America and bolstering our economy." Silliest thing ever written. Bar none. 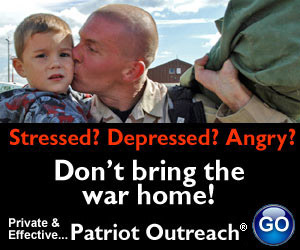 If by "protect" you mean "weaken our defenses by sending our brave soldiers overseas to manage a civil war, overextending our military, violating Constitutional privacy guarantees, and committing literal FELONIES by violating FISA instead of securing our ports and borders" and by "bolster" you mean "bring about a second Great Depression through elimination of oversight and the most irresponsible spending policies in the history of the United States," then you may have something there. Wow. You're not very bright, are you? But, you sure fell for the DNC talking points. Allow me to educate you a little. We were attacked, again, on September 11, 2001. Some 3,000 people were murdered. We went to war to put an end to that, not just to revenge 9/11. If you failed to read, I am a Veteran, so I speak with some knowledge of combat and war. This "Great Depression" you speak of is laughable. Yes, we are in economic turmoil currently, but have you forgotten, or just ignored, Fannie Mae and Freddie Mac imploding, largely due to banks being forced to issue loans to those who otherwise would not qualify? Economically, the country was much worse off when Ronald Reagan took office, than it is today. If anything brings about a new "Great Depression," it will be the debt created today by Obama, which is larger than the total debt under all previous presidents. ALL OF THEM!!!! Then, his idea to take away from the wealthy even more than they already are and you have the danger of increasing unemployment, as happened during the "Great Depression," largely for the same reasons. Hate Bush if you desire, but don;t forget, he brought up the dangers of the pending collapse as far back as 2003 and his efforts at reform where blocked by the same Democrats crying foul today. Try reading something more that Democratic Underground, Moveon.org, DailyKOS or the other looney leftist sites. Is Obama Listening? Seal The Borders! CNN: Senator Dodd (D. CT) Lied! Isn’t One Murdered Child Enough?